The internet is full of more than funny cat videos: there is also a fairly rich online literature on what to do with old coffee grounds, some of it surprising. Garden ideas are the most numerous. People recommend grounds to repel slugs (spread around young plants), cats (mixed with orange peel) and ants (sprinkled around the perimeter of your house). Others claim the high pH will make hydrangeas blue, and the caffeine will double your harvest of carrots and radishes if you mix grounds with seeds before planting. A friend's Italian grandmother swore by putting them on her lemon tree, and other sources advise using them on acid-loving plants such as azaleas, camellias and blueberries. But The Age's garden writer Megan Backhouse sounds a note of caution. "Because they're high in nitrogen, people are increasingly applying spent coffee grounds to their gardens. 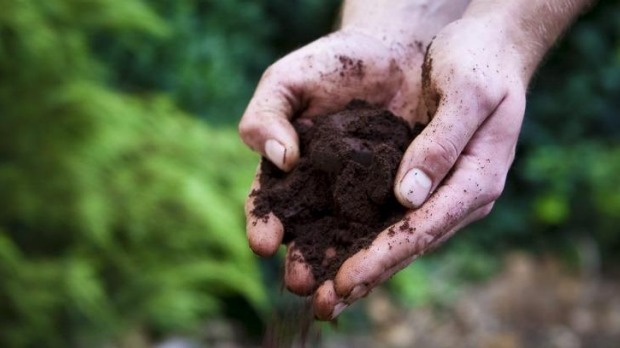 But a recent study by the University of Melbourne has found that adding un-composted grounds to the soil can actually decrease plant growth and development," she says. "Researchers recommend adding them to your compost (no more than 20 per cent total compost volume) to allow for the decomposition of any toxic components." Backhouse says some studies have found their pH varies widely, so they won't necessarily turn out acidic compost. Beauty blogs claim coffee-based scrubs have anti-inflammatory and collagen-promoting properties, and that the caffeine in grounds helps fight cellulite by promoting fat metabolism. Others recommend massaging grounds into your hair to remove the buildup of hair product (then washing them out with more hair product). Former barista Hayden Thomson from Melbourne's Black Honey Skin Care and his wife, Ashleigh Britton, collect used grounds from cafes and use them as an exfoliant in their natural body scrub. Thomson says cafes in Australia generate about 65,000 tonnes of grounds a year, which mostly goes into the rubbish. But not at Green Park Diner in North Carlton, where they go into their composting system. They sell the result to locals and give the proceeds to a playground for refugee kids in Fitzroy. And a company in the US called 3Dom has even made a 3D printer filament out of recycled coffee waste; it works with any PLA-compatible printer. Elsewhere, people use grounds as a flea repellent for cats and dogs (rub them into the animal's skin after a bath. Rinse well…), as dye for a henna-style tattoo, and to make fake "parchment" (for school projects, I guess). The ultimate American solution, though, is to use them to sharpen the blades on your garbage disposal unit – just throw them down the sink, add water and hit "grind".